February 27, 1987, is yet another day of history. That day, a seemingly bemused Muslim United Front (MUF) candidate, Mohammad Yousuf Shah, then in his late forties, was carried by a cheering crowd all the way to file his nomination papers for crucial Amira Kadal seat. The crowd, mostly young students’ belonging to Islamic Students League (ISL), were excited as it helped them finally enter NC’s heartland. “It was unimaginable to take out an anti-National Conference (NC) rally in Srinagar then,” recalls Yasin Malik, JKLF chairman, who was then general secretary of ISL. 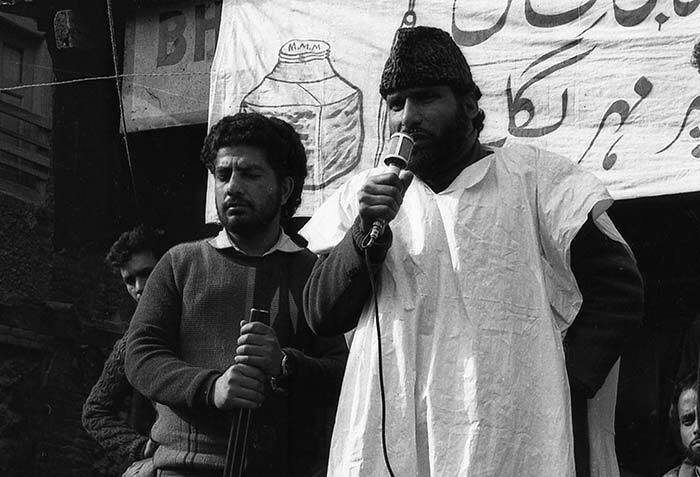 (Muhammad Yusuf Shah leading an election rally in Maisuma in 1987. Passing through Karan Nagar, Chotta Bazar, when the rally reached Habba Kadal, it was attacked by NC supporters. “After that we got dispersed,” remembers Malik. 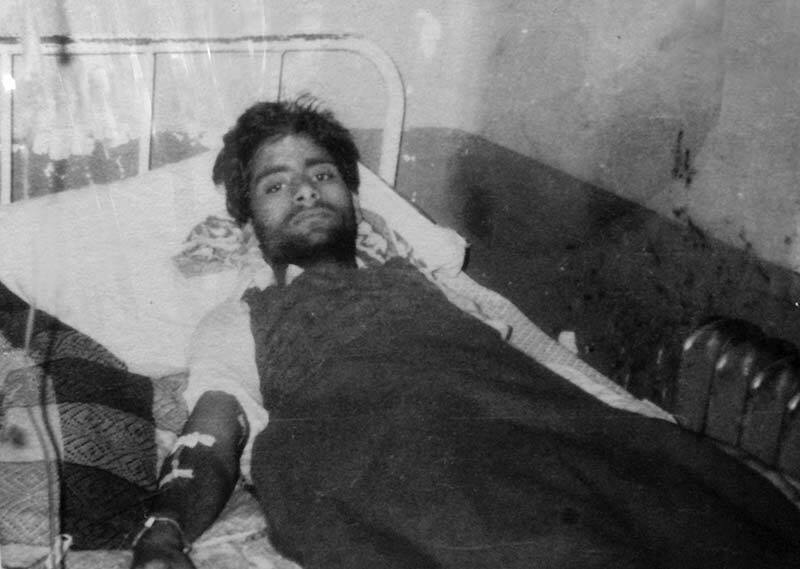 The Habba Kadal attack was first in the series of pitched battles that dominated 1987 elections. “It was for the first time someone was challenging NC in its bastion,” says Malik. The arrival of an alternative announced itself when MUF flags appeared in city. Though, they disappeared in the dead of night, the message was already conveyed. Kashmir narrative changed faster post Sheikh-Indira 1975 accord. ISL, then was the important youth movement. In politics it fathered a huge brigade: Mohammad Yasin Malik, Ishfaq Majeed Wani, Javid Mir, Mushtaq Ul Islam, Abdul Hameed Sheikh, Abdullah Bangroo, Ajaz Dar, Showkat Bakshi, Mehmood Sagar, Iqbal Gandroo, Noor Mohamad Kalwal, Firdous Shah, Shakeel Bakshi and Hilal A War. 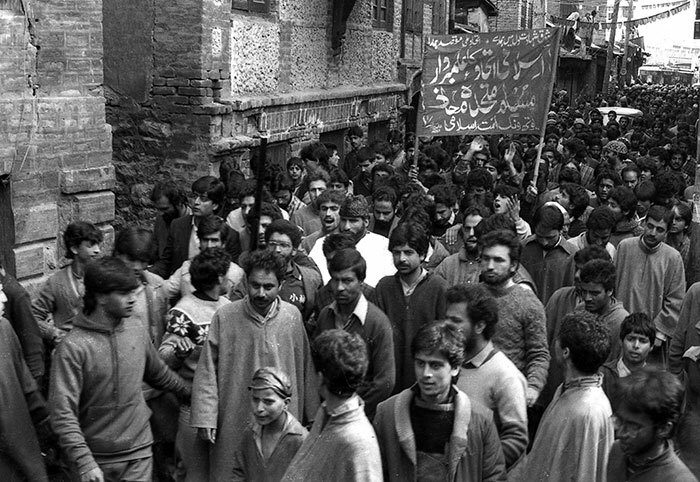 Same year, ISL and MUF were seen together in Srinagar city for the first time, when students organised first and biggest ever, Eid-e-Milaad procession in 1986. The procession started from Iqbal Park and ended in Bohri Kadal, in which the leadership of Jama’at-Islami (JeI) like Ameer-e-Jama’at Ghulam Mohammad Bhat, Syed Ali Geelani, Prof Abdul Gani Bhat, Mohammad Yousuf Shah (Sallahuddin) participated and addressed people in downtown. 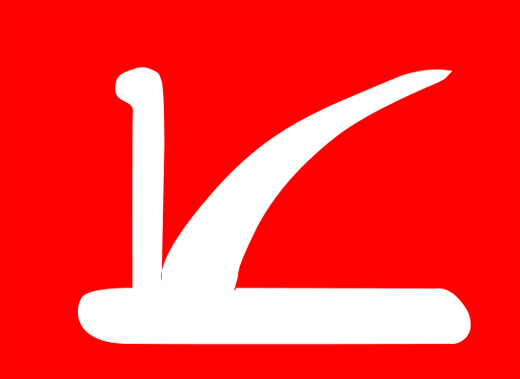 NC, Awami Action Committee (AAC) supporters attacked it in Bohri Kadal. MUF’s convener Molvi Abbas Ansari, now in his late eighties, had asked ISL’s Syed Abdullah Shirazi and Malik to join MUF. “We two were representatives of our group in the Majlis-e- Shoora of MUF,” said Malik, whose group was offered to contest on five seats in Srinagar. However, ISL was against the elections, they decided to support MUF from outside. “Let me clear it, rigging in 1987 elections didn’t result in armed militancy. We were there even before 1987,” claims Malik. Javid Ahmad Mir, present executive member of Hurriyat Conference (m), says his group was active since 80’s, although they were not organised then. However, as Shabir Shah, had to spent most of his time in jails, these young boys were not able to find a group or a person “who was of their thoughts”. This group was behind digging the cricket pitch during international cricket match between India and West Indies, disturbing the NC gatherings in city and even pasting wall-posters after Maqbool Bhat was hanged. These like-minded boys later met and called for a strike in protest on Maqbool Bhat’s hanging anniversary. They called it ‘Tala party’. “The strike call ended up with protests in which a police bus was burnt in Bohri Kadal,” says Malik. After that, Tala party started disturbing the processions on July 13. In 1985, Malik remembers he, along with other 70 boys had bought a ‘fire cracker’. When the procession reached near the podium in Khawaja Bazar, cracker exploded triggering chaos. But, NC mob caught Malik and roughed him quite badly and then, threw him in a pool of mud. Others rescued him and he was administered stitches in the hospital. After getting exposed, Malik with other boys was arrested and sent to ‘Red 16’ interrogation centre for three months. Once back home in 1986, Tala party became ISL. They also were running a Darasgah in Maisma where Syed Abdullah Shirazi taught and Yousuf Shah, Innayat-ullah Andrabi were frequent visitors. Mohammad Yousuf Shah’s Friday sermons at Exhibition Grounds would make headlines. “His sermons were contemporary and youth would relate with him. He had the power to articulate what was in our minds,” says Showkat Ahmad Bakhshi, an ISL senior. During same year, when the admission list of Regional Engineering College (REC, now NIT) was out, it triggered unrest, recalls Bakhshi, then 22. “Jagmohan came with his communal tactics. The REC selection list had majority of non-Muslim students. Earlier we had many students from Afghanistan and Iran in this college, who used to tell us their stories of activism back in their homelands,” recalls Bakhshi, who used to visit REC regularly to listen to stories from Afghan and Iranian students. During 1983 elections, Jama’at-e Islami’s Mohammad Ashraf Sehrai, contested from Ganderbal against Sheikh Mohammad Abdullah. “His polling agent from Doda was attacked by NC supporters and one of his eyes was damaged. He lost vision. Such was the hooliganism of NC,” says a JeI insider, wishing to remain anonymous. “For same kind of reaction, ISL was roped in,” Bakhshi claims. Knowing ISL was representing ‘street power across Kashmir’ MUF leadership got them in and managed to conduct a procession from Batmaloo to Habba Kadal, where it was attacked. But ISL helped them ‘selflessly’. One big rally was organised in Iqbal Park where MUF candidates, wearing shrouds, stood amid intense public sloganeering. “It was the biggest event. Whole Park was jam packed. Many people had come from Islamabad with their leader Qazi Nisar. PC’s Abdul Gani Lone and ANC’s Ghulam Mohammad Shah were also present. But we were doing our work; we started playing mili nagmai like Aye mardai mujahid jag zara,” recalls Javid Mir. Among all candidates, Mohammad Yousuf Shah maintained ‘elite’ decorum. ISL’s Ajaz Dar, who had a licensed gun, would ‘protect’ Shah like a bodyguard. Amira Kadal was the most reported constituency in Kashmir because it represented the heart of Kashmir. During campaigning, it reported lot of violence – mostly, fist fighting between the two sides, that kept it in news. Polling day of Amira Kadal is well-documented. Even counting was interestingly different. For next two days, counting continued in Amira Kadal at Government Medical college hostel in Bemina. “When we went there, we saw agents were tampering votes. SSP Gill was there, I asked him what was going around to which he replied ‘you are most wanted and I don’t want you to be arrested here’.” Malik says. Later, he drove to Maisuma and joined Shah at Jama’at office. Within minutes, police raided and arrested most of MUF. Malik, Ishfaq and Javid jumped out of the window. Shah’s, chief election agent, was Altaf Ahmad Shah alias Funtosh. “I am witness to what happened in counting hall in Bemina, where MUF was leading round after round. He was way ahead of his Mohi-ud-Din Shah. Counting was still on, Yusuf Shah had a clear majority. But then a shocking statement about Mohi-ud-Din’s victory was announced,” Altaf was quoted saying. The final results read Yusuf Shah: 15278 votes, Ghulam Mohiuddin Shah: 19567 votes. On April 4, ISL had called for a Kashmir bandh to protest the ‘rigging’ in elections but they were arrested a day before and taken to ‘Red-16’ interrogation centre again where Malik was kept for 17 days and then sent to hospital for blood infection. Later, it was diagnosed that his heart value had got affected. But Malik, Ishfaq and Javid were released after a year from Jammu jails.